This strange looking thing is a foundation sponge - something I have never used before. It is also made by Cosmopolitan (as in the magazine) who I didn't actually know made make-up accessories. You wet the sponge, ring out the excess moisture and pop some of your foundation on it and then dab it on your face in 'spongy' movements. The effect is pretty nice I must say, very flawless and similar to the effect my Real Technique's buffing brush gives me. 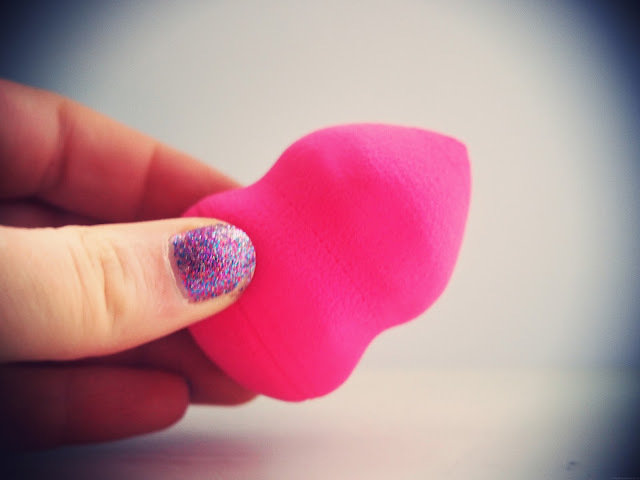 The pointed end is good to get into little nooks like around your nose and it works well to blend in your concealer. I'm pretty happy with it I must say!